In 2011, the people of South Sudan voted for independence from Sudan, creating the world’s youngest country. Despite independence, continuing conflict within its border and remaining devastation from decades of war with Sudan have left the country with critical humanitarian and development challenges. 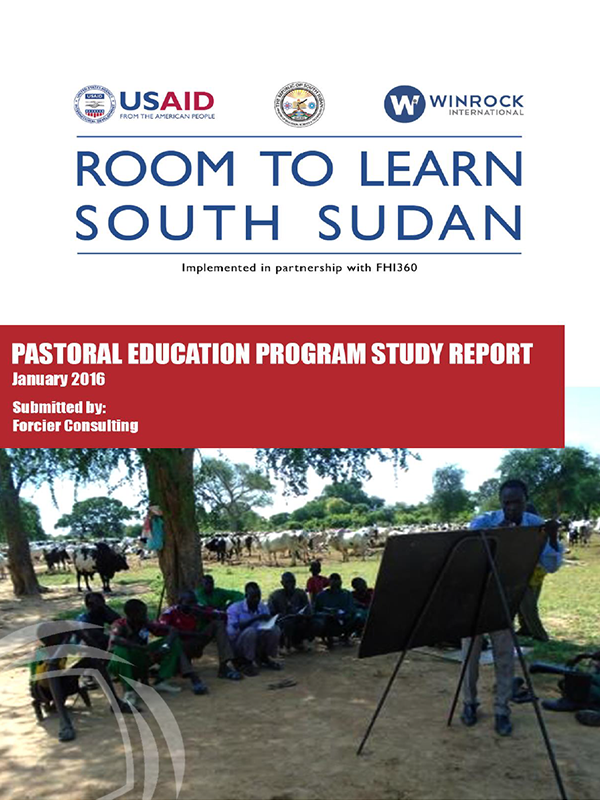 In terms of education, the 2008 Census of Southern Sudan reported that only 29% of the population was literate, with rural communities at only 24%. Moreover, an estimated 70 to 90% of school age children are not actively attending school.1 These proportions are larger among rural and pastoralists communities due to a lack of resources and remoteness.